The opening night of our 10th International Film Festival starts in Sherborne on Thursday 25th October followed by 3 days of foreign-language films which would normally only be screened for specialist audiences. 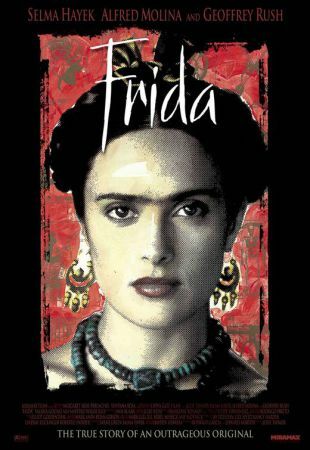 The opening night film is, Frida which chronicles the life of Mexican artist Frida Kahlo who contracted polio at the age of six, suffered a near fatal trolley-bus crash at 18 and was able to transcend her lifetime of pain and express it in her paintings. She shared her short life with the artist Diego Rivera, her husband and mentor. Together they took the art world by storm. This year there seems to be a bit of a theme going on with many of the films featuring women who have lived extraordinary lives and whether happy or sad i can guarantee they are all thought provoking. If i had the time i would spend the whole weekend immersed in film and watch them all, and if that appeals to you you can buy a season ticket for the weekend, Unfortunately i don’t have that much time so i have opted for Frida on Friday and Gloria and a Royal Affair on Saturday. And between films i may just visit the Plume of Feathers as i hear that in addition to their usual delicious food, they are offering tea and cake to festival goes. This is of course a charity fundraising event and is run entirely by Rotary volunteers from our club. This year our international beneficiary is the Rotary Global Sight Solutions charity, and remaining profits will be used by our club to run our youth activities in Sherborne and to support local charities. Thank you to all our sponsors who’s contribution to this event is very much appreciated. Next Entry Week 16 – What does the future of Rotary look like?